Falls are among the most significant sources of morbidity and mortality in the older adult population and can impact their ability to age-in-place. Given the tremendous burden on our healthcare system totaling about $31 billion annually, there has been a push to find ways to prevent falls among older adults. 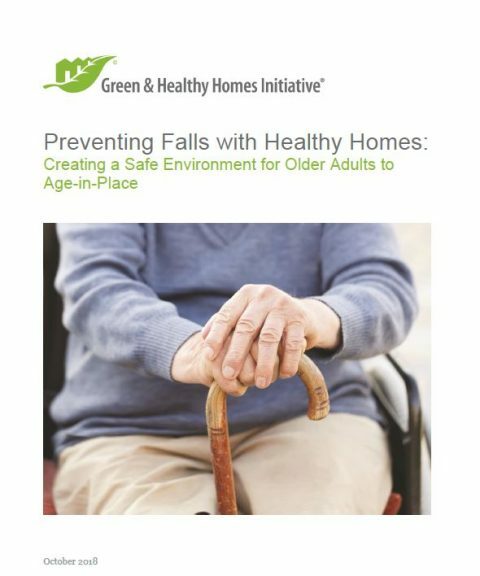 Some efforts to prevent falls have considered home modification programs that address home environmental hazards, which are estimated to cause as much as half of all falls among older adults. Studies have shown that home-based fall prevention programs that include home modifications are effective in reducing falls among older adults.1 Still, the home modifications included in these programs only address a few of the structural risk factors for falls among older adults. An environmental assessment that identifies health and safety hazards such as lack of stairway rails and grab bars, obstacles and tripping hazards, and inadequate lighting that are present in the home. The development of a scope of work that may include installing grab bars and sufficient lighting as well as removing obstacles and tripping hazards. The execution of these home modifications specified in the scope of work that address the hazards. 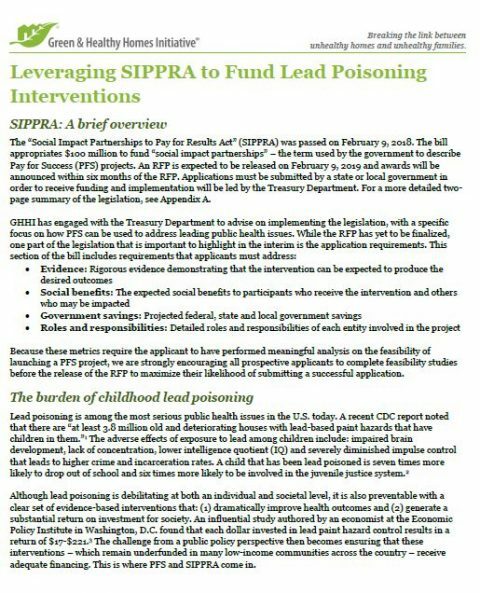 However, developing and implementing this type of model requires extensive program infrastructure, cross-sector partnerships that include home environmental assessors, community-based contractors, and a sustainable business model with willing and reliable payers. With no certifications currently required, the incorporation of assessors and contractors would be seamless. the target population of older adults at-risk for a fall, which includes individuals who have already fallen and individuals who have not fallen but are at-risk. Currently, there are no entities that are both willing to and able to pay for a “Healthy Homes” fall prevention program that includes each of the above components. There are several viable opportunities within the healthcare sector to support and sustain a comprehensive “Healthy Homes” fall prevention program. Medicare is a good option with its role in covering care for adults over the age of 65, the age group that is the most at-risk for fall. While the other components are largely not covered, there are several opportunities that could lead to coverage involving the potential expansion of the definition of durable medical equipment to include home modification equipment as well as the passage of the CHRONIC Act, which removes some of the barriers to implementation of a comprehensive fall prevention program. 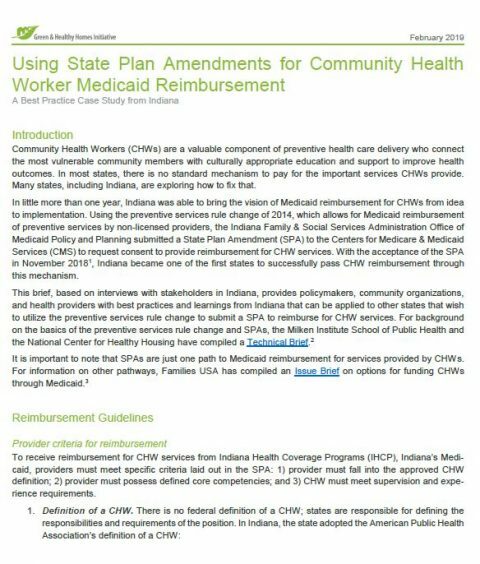 There is also potential for coverage under Medicaid as the Medicaid Waivers, Medicaid Rule Change, and Medicaid Managed Care Organizations enable coverage of environmental assessors, community contractors, and the services provided in a comprehensive “Healthy Homes” program. Still, there are some barriers to implementation that include eligibility criteria, the coverage of home modification equipment, and whether housing interventions are considered medical services. 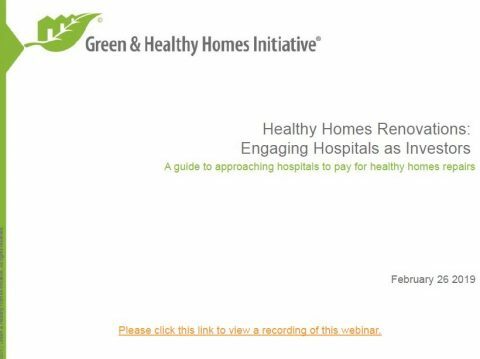 There are a few other opportunities for coverage of certain components of a “Healthy Homes” fall prevention program including hospital investment, accountable care organizations, and value-based care, that are largely under-developed. Still, home modifications are effective in reducing both the risk of falls, and their associated costs, among older adults. In Baltimore City, the CAPABLE pilot program improved the ability to perform activities of daily living in 75% of participants, saving an average of $30,000 in healthcare costs. 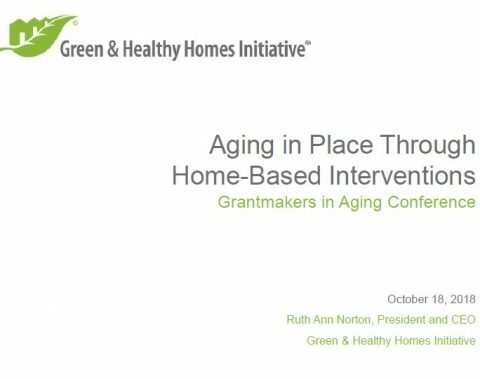 More information on this program and the Habitat for Humanity of Greater Memphis Aging in Place Program” are included in this report as case studies.